Sonja is a high energy hairstylist with an undeniable passion for her clients. Her signature looks through cut, color and style have seamless transitions, soft edges, incredible longevity and a decidedly effortless aesthetic. She embodies a more traditional approach to hair styling and believes in the complete clientele experience- starting with a thorough consultation where she carefully listens to your “hair challenges” and “hair goals” to properly guide you to realistic results. She believes that everyone is unique, and will create a customized look that will enhance your best features and fit your lifestyle. Sonja has been the owner of Esse in York for over 25 years. She has great pride in the reputation Esse Studio has as a high end salon in this quaint location. Kim has been styling hair in York for over 15 years and has the most loyal clients ever. She has generations of families that come and see her: grandmothers getting their weekly wash and set, aunts getting perms, dads getting trims, moms getting roots done, brides getting amazing styles, teens getting trendy colors and grandkids getting their first haircut. Clients are family to Kim! Specializing in traditional techniques, cuts and styling, she also stays up-to-date on all the latest trends to give her clients their best look. Her passion for beauty is defined by her commitment to perfection and insistence on satisfaction. She excels at creating on-trend color, precision cuts, and beautiful updos. Kim has extensive experience with curly hair, fine hair, perms, curlers, clip in extensions and beach wave. While she does it all, Kim loves doing highlights most and is a skillful colorist achieving any shade of platinum, champagne, or strawberry blonde. Vanessa uses her fine arts background to bring detail, creativity, and an artistic element to hairstyling. She places a high value on a thorough understanding and respect for the craft and the client, this is proven by her loyal following from seacoast residents. Training with Empire Beauty School in Portsmouth, NH and being a Kittery native, she brings over ten years of experience to Esse Studio. Her true passion is color, be it a fiery red, sun kissed highlights, subtle balayage, or the perfect natural touch up of color. Vanessa looks forward to customizing the shade or cut that’s right for you. Lauren has a passion for bringing out her client's true and natural beauty. She has a millennial aesthetic that encompasses a wide collection of current trends, and she continually seeks new inspirations. On top of working toward her Master’s Degree in Business, she is always mastering her skills with color, balayage, highlights, sculpting, updo’s and makeup application. 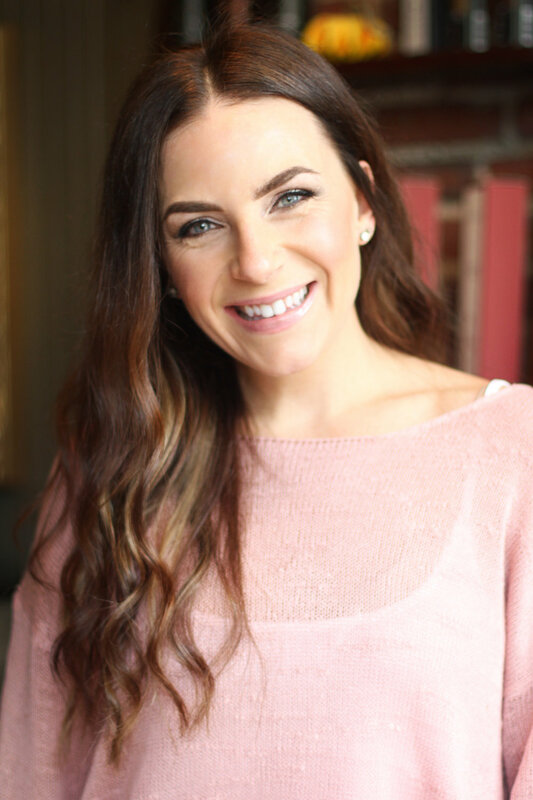 Lauren is not only highly attuned to her clients needs, but exceptional at listening to what they want as the integrity of her client's hair is a point of personal pride for her. She is often found on location with bridal parties doing hair and makeup. Megan’s ability to take her clients' ideas and bring them to life are her greatest gift. Her willingness to listen and ask the right questions to thoroughly understand the desired look and personality of each client is effortless for her. With 15 years of experience and a warm, caring demeanor, she naturally develops an emotional bond with her clients which make her more friend than stylist. Add her extreme passion for her craft and it's no wonder her clientele is so loyal. Megan focuses her attention on creating natural looking color and complimenting it with a precision cut. She has an artist’s eye for bridal hair, event styling and make-up. She creates everything from silky blowouts, dimensional highlights, balayage, men’s, women’s and children’s cuts, bride and bridesmaids styles /updos and much more! Megan strives to use the most eco-friendly product lines when possible and can often be found on location doing hair and makeup for our many brides.